Please note that the Provincial Offices are closed today in honor of Martin Luther King, Jr. Day. We reopen on Tuesday, January 22. Provincial Council meetings will be Tuesday and Wednesday. 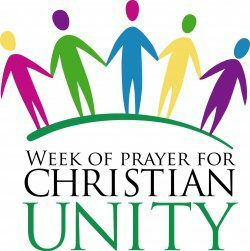 Martin Luther King, Jr. Day falls during the annual Week of Prayer for Christian Unity. This year’s theme for the week: “Justice and only justice shall you pursue.” It is inspired by the words of Deuteronomy. 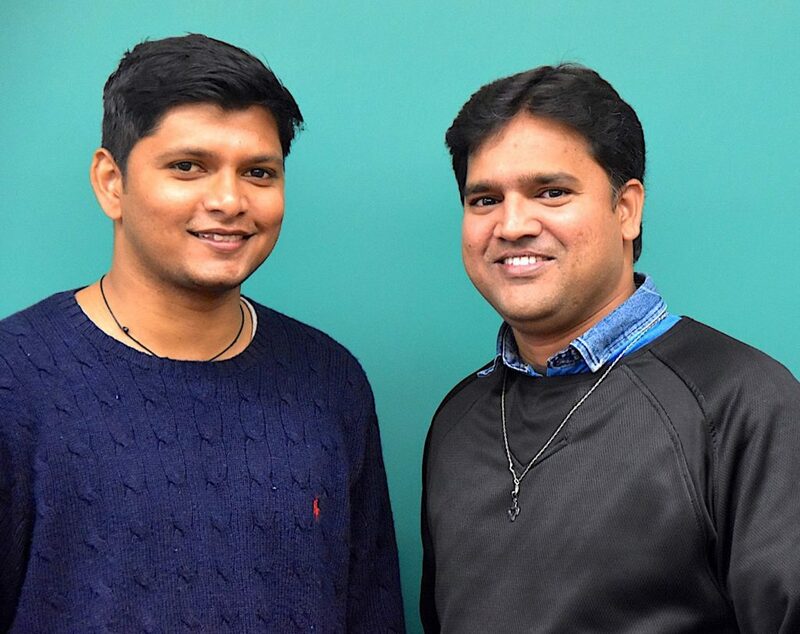 Earlier this month, the first Indian seminarian, Br. Meghanand Bandanadham, SCJ, arrived at SHSST for his on-site coursework. Fr. Michael traveled with Br. Meghanand to both get a first-hand look at SHSST, and to work out details of the newly developing master’s program with faculty and administration. As noted last week, the Canadian Region has a new administration. Fr. Gustave Lulendo, SCJ, was installed January 16 for his first three-year term as regional superior. 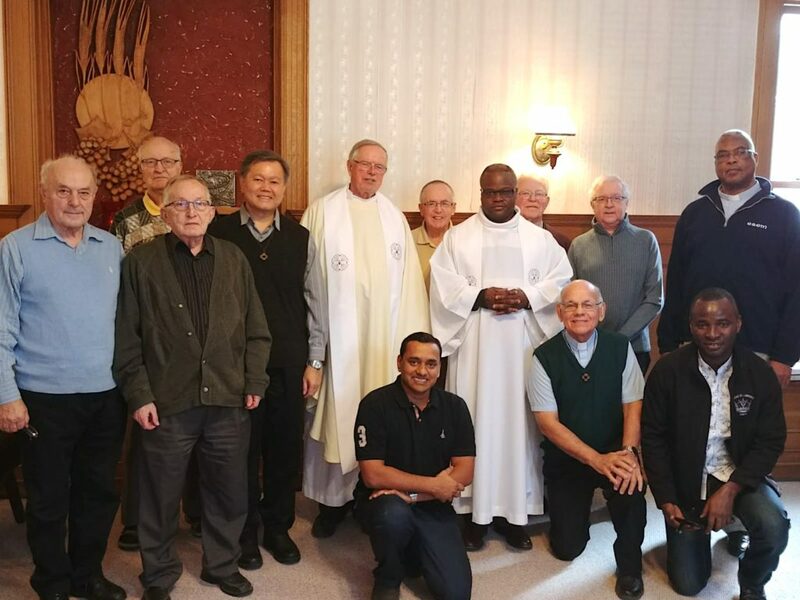 The Regional Council: Fr. Yuliwan Maslim, SCJ, Fr. John van den Hengel, SCJ, and Fr. Richard Woodbury, SCJ. Click here to access a reflection that Fr. Gustave gave at the end of the installation. From it, you can also access Fr. John van den Hengel’s homily at the installation Mass. Br. Diego Diaz, SCJ, is returning to Sacred Heart Monastery this week while waiting for the rest of his immigration paperwork to be finalized. Also, all SCJs in North America should have received an email last week with an information sheet about travel to Colombia for Dn. Juan Carlos Castañeda Rojas’ priesthood ordination. Missed it? Click here to download a copy. Music is an important part of prayer. 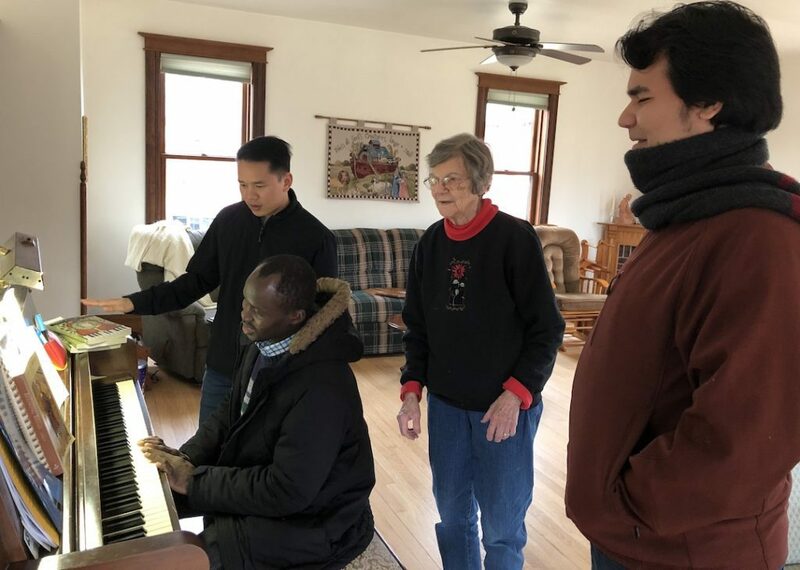 Our novices – Hubert Liassidji on piano, John Huan Nguyen and Angel Romero – receive music lessons from Sr. Rose Marie, OP.